Offering the widest range of industrial dispensing cartridges for use with a wide range of adhesives, gels, epoxies, silicones and lubricants. All cartridges are industrial grade safe for use to 100 psi air pressures and are certified silicone-free. Featuring a 1/4" NPT industry standard thread for secure attachment of nozzles and fittings. Kits supplied packaged with the same number of cartridges and wiper plungers. Supplied seperately ready for filling and the plunger being inserted. High density polyethylene (HDPE) cartridges. 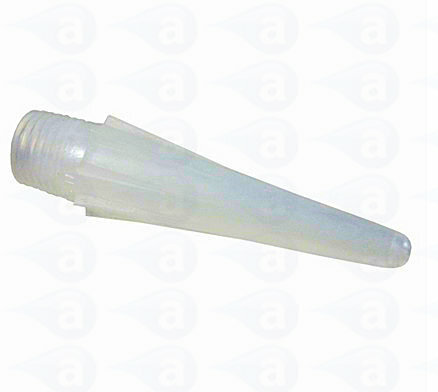 Medium density (MDPE) which is a softer material for the wiper plungers. Colours are cartridge then plunger. Cartridge nozzles attach with a 1/4" NPT thread for leak free dispensing under high fluid pressures. Available in different lengths, styles and grades of plastic.